Middle Eastern rhinoplasty is very similar to that of the Caucasians with several exceptions. This is an example of a pretty 27 years old woman from Beverly Hills with Middle Eastern heritage. 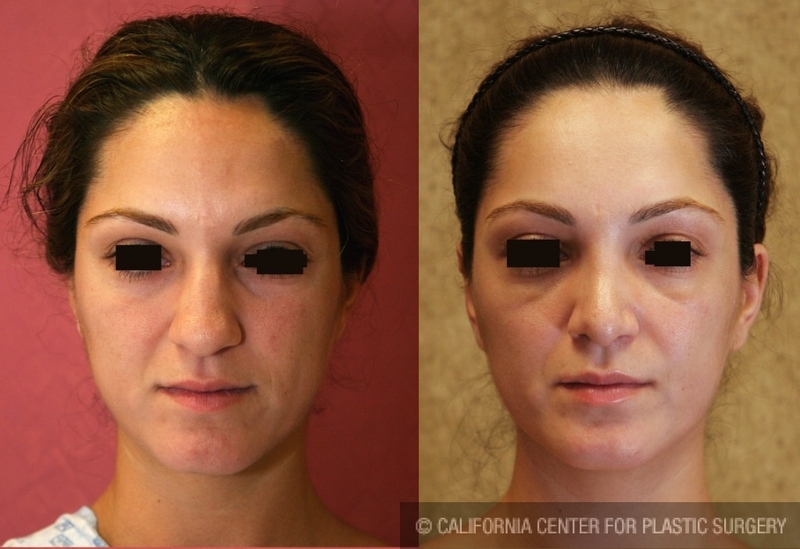 As you can view in her nose surgery before and after pictures, Middle Eastern noses tend to have a wider and more bulbous tips, with not enough nasal tip projection. Also there tends to be a prominent nasal hump. In these types of ethnic rhinoplasty, it is very common to use nasal cartilage graft to raise the nasal tip, while at the same time reducing the width of the tip by removing part of the tip cartilage. In this case, these nose surgery techniques were performed through a closed approach with no need for a nose scar. 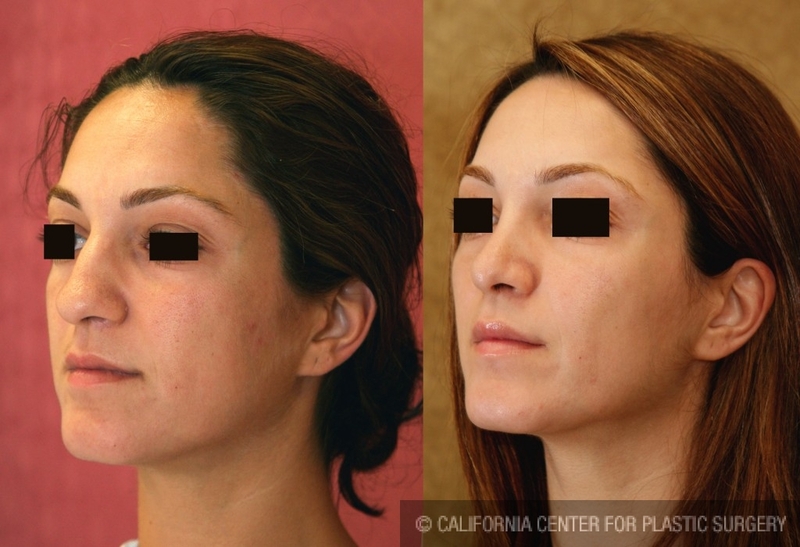 After recovery from rhinoplasty, she has been very pleased with her natural and soft look, especially since she did not have to have to have a nasal scar, which is usually required with an open rhinoplasty.